June is the perfect time for our beautiful bridal hat. Lots of white silk, netting ribbons roses and lace combine in this molded crown confectionery. 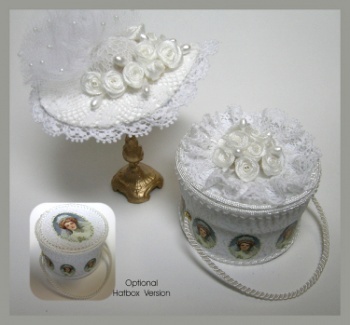 Coordinating hatbox has two different styles to choose from.